Microthoracic Discectomy (MTD) is an advanced surgical procedure used to treat individuals with Thoracic Disc Herniation. What is the Microthoracic Discectomy surgical procedure? Microthoracic Discectomy (MTD) involves the thoracic vertebrae and the surrounding regions. It also involves the damaged discs between the two thoracic vertebrae. Why is the Microthoracic Discectomy surgical procedure Performed? Microthoracic Discectomy (MTD) is performed to remove the damaged and herniated disc in between the thoracic vertebrae of the backbone. An alternative method to repair a herniated disc is to use traditional open surgical method. This method is still performed widely. Microthoracic Discectomy (MTD) is the most advanced surgical treatment for a Herniated Disc currently being performed. What is the Cost of performing the Microthoracic Discectomy surgical procedure? The cost of Microthoracic Discectomy (MTD) procedure depends on a variety of factors, such as the type of your health insurance, annual deductibles, co-pay requirements, out-of-network and in-network of your healthcare providers and healthcare facilities. 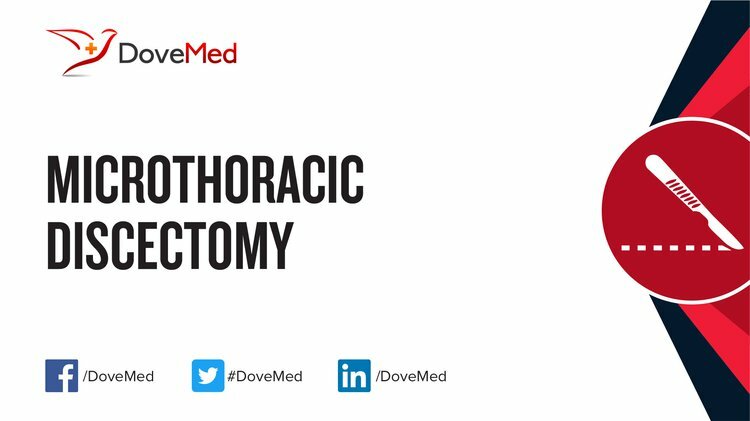 It is normal for a patient to feel uncomfortable and confused by the information regarding Microthoracic Discectomy (MTD) and on what needs to be done. If the patient needs further reassurance or a second opinion, a physician will almost always assist and also recommend another physician, if required. How is the Microthoracic Discectomy surgical procedure Performed? Microthoracic Discectomy (MTD) is performed by making a small incision on the skin of the back in the vicinity to the herniated disc. After going through the soft tissue under the skin, a portion of the vertebral bone is removed. This removal of the part of vertebral bone gives the surgeon access to the herniated disc. Using an instrument called a nerve retractor spinal nerves are carefully moved away from the herniated disc. Once all the nerves are cleared, the herniated disc is removed in small pieces using a microdissector. Microthoracic Discectomy (MTD) is usually performed in an out-patient surgery center facility or a hospital and normally the person can go home once the procedure is completed. The preferred facility to perform a Microthoracic Discectomy (MTD) is a hospital that has experienced trained staff. The physician may evaluate the individual’s medical history to gain a comprehensive knowledge of the overall health status of the patient including information related to the medications that are being currently taken. Some medications increase a person’s chances of bleeding and it may be recommended to discontinue them for a period of time, before the procedure is performed. Blood tests may be performed to determine if there is a bleeding tendency or any other medical conditions that prevents the person from undergoing the procedure. A physician will request your consent for the Microthoracic Discectomy (MTD) procedure using an Informed Consent Form. What Tests are needed, before the Microthoracic Discectomy surgical procedure? Several tests may be necessary prior to the procedure, such as a Blood Test, Electrocardiogram, and Chest X-ray leading up to the day of the surgery. What is a Microthoracic Discectomy (MTD)? General anesthesia or spinal anesthesia is administered prior to the procedure. Since Microthoracic Discectomy (MTD) is minimally invasive, there is little or no blood loss involved. What are the possible Risks and Complications during the Microthoracic Discectomy surgical procedure? What Post-Operative Care is needed at the Healthcare Facility after the Microthoracic Discectomy surgical procedure? After the surgical procedure, patients will be sent to an area of the hospital called postoperative recovery area or PACU. A patient’s blood pressure, heart rate, and respiration cycle will be closely monitored. Any additional pain associated with the procedure will also be treated. 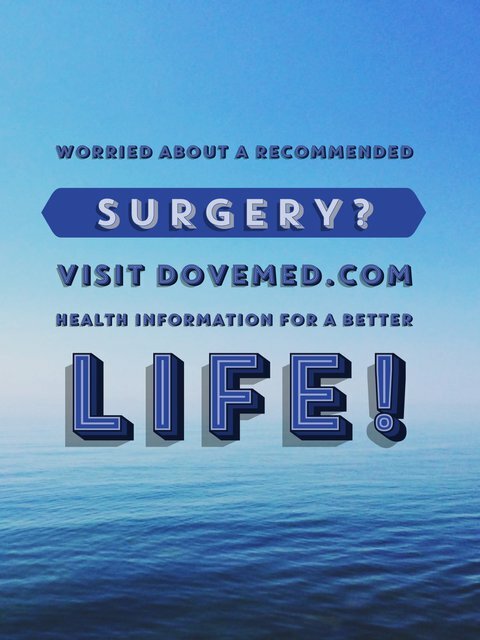 Since Microthoracic Discectomy (MTD) is a minimally invasive surgical procedure, a high percentage of patients are discharged from the healthcare facility on a outpatient basis, and are release the same day as the surgery was performed. However, some patient may be released from the healthcare facility 1-2 days after surgery. What are the possible Risks and Complications after the Microthoracic Discectomy surgical procedure? The majority of individuals experience pain relief and improved range of motion after the procedure. Pain relief is noted to decrease quickly in a high percentage of patients, allowing a return to normal functionality. What Post-Operative Care is needed at Home after the Microthoracic Discectomy surgical procedure? Individuals may begin light activities about 2-3 days after the procedure. Usually, it takes about 4-6 weeks to completely recover from the effects of the Microthoracic Discectomy (MTD) procedure and allow an individual to start participating in more rigorous work or physical activities. Depending on the complexity of the case, issue of the report may take anywhere between 72 hours to a week's time. Who will you receive a Bill from, after the Procedure? The patient is advised to inquire and confirm the type of billing, before the Microthoracic Discectomy (MTD) procedure is performed.